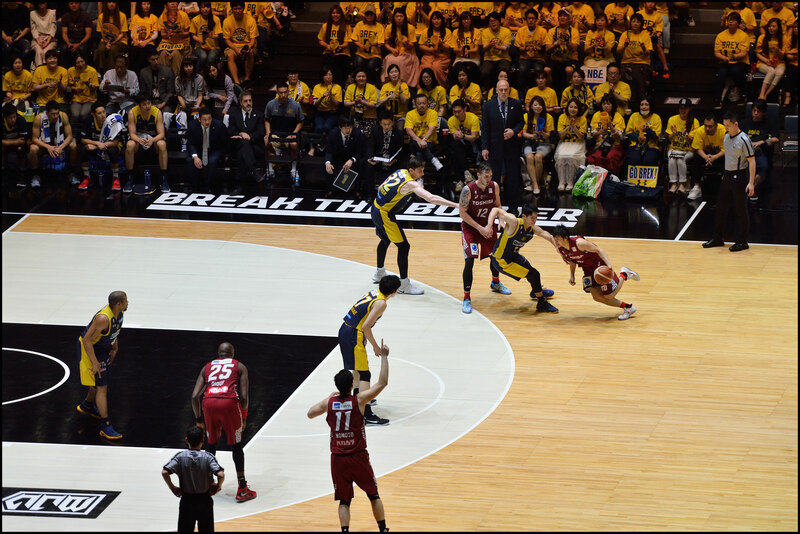 In the closing seconds of the B.League championship game, Tochigi Brex forward Jeff Gibbs skipped off the court on his left foot after injuring his right ankle diving for a loose ball. 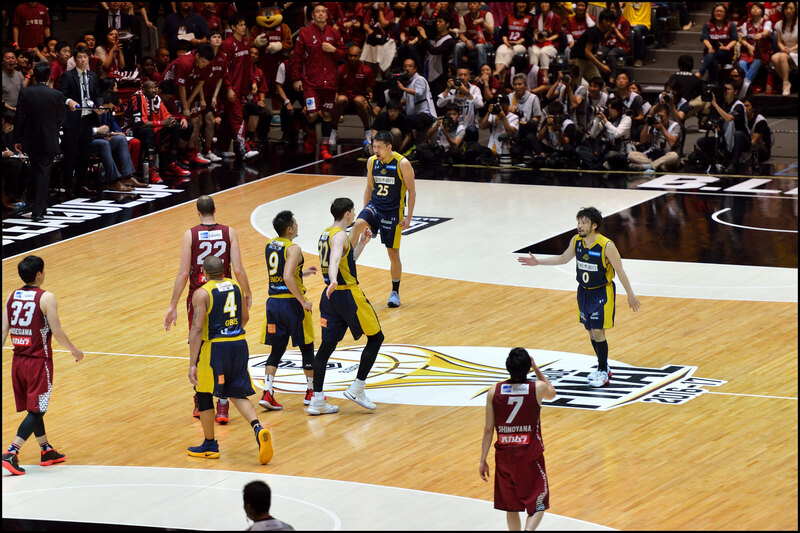 A tough break, but nothing compared to havoc he wreaked on the Kawasaki Brave Thunders over the previous nine-plus minutes. 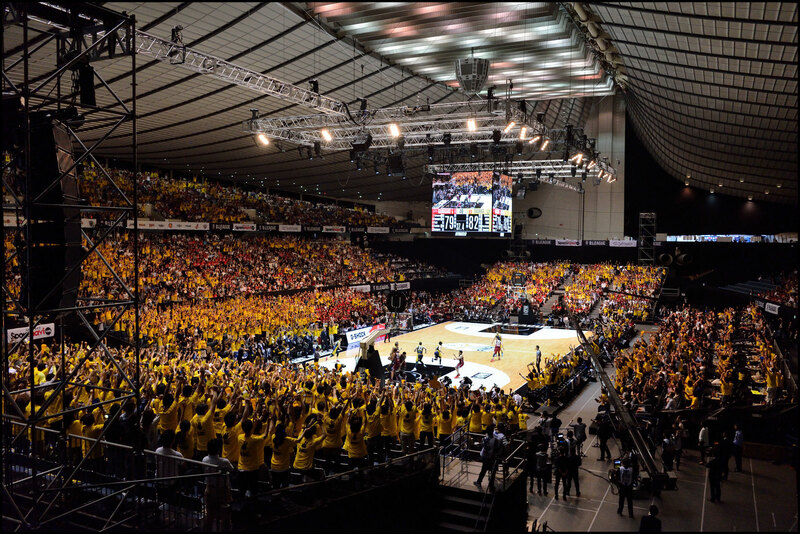 Gibbs scored 16 of his game-high 25 points in the fourth quarter, when Tochigi pulled away late for an 85-79 victory and the league's inaugural title before a sellout crowd of 10, 144 at Tokyo's Yoyogi Gym. 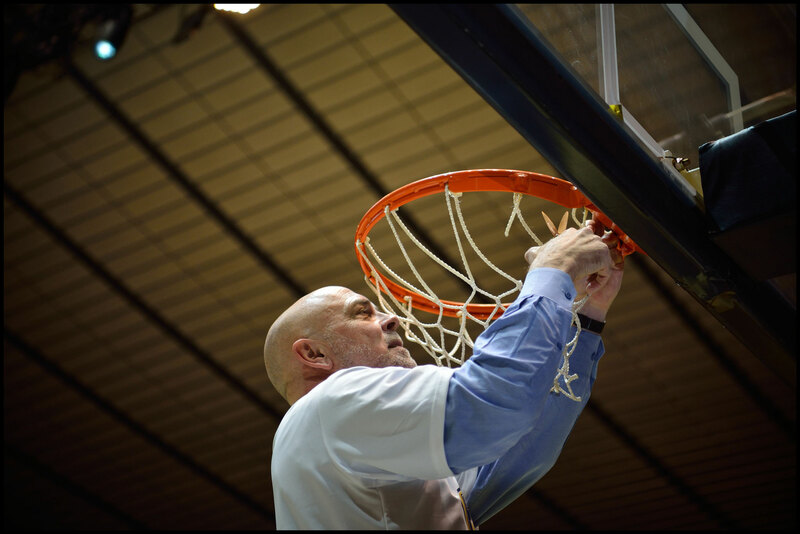 "This team has got so much heart," Brex head coach Tom Wisman said. 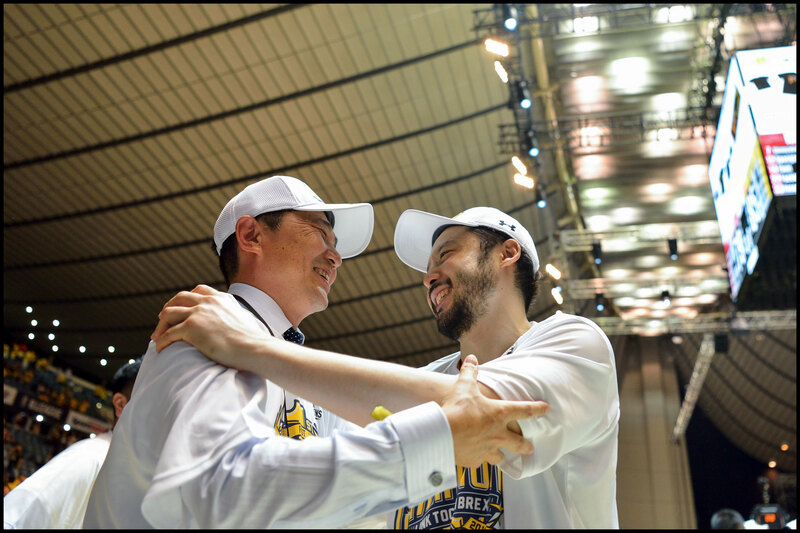 "And the road that we had to get here, and to beat a team as good as Kawasaki today in the final, makes me the proudest coach in Japan." The Brex, who split their season series with the Brave Thunders, managed to hold off the league's highest scoring team with a combination of a swarming defense and an effective use of screens to get open shots, as well as the luck of catching Kawasaki on an off day. 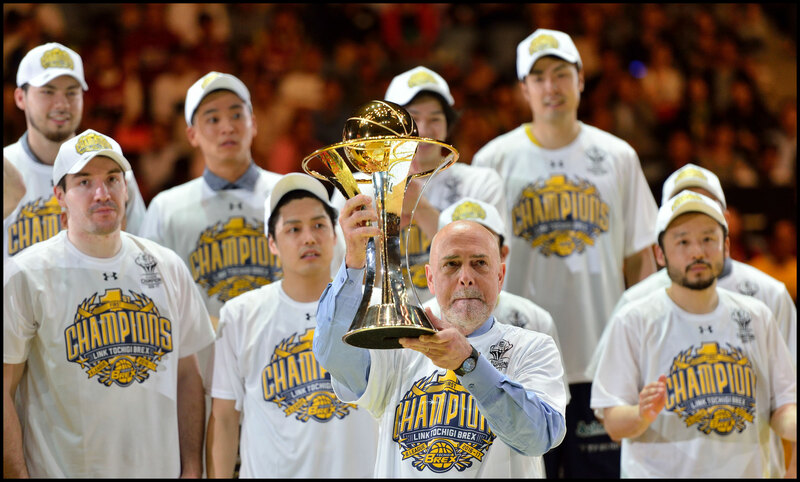 The victory earned the Brex a sleek Tiffany-designed trophy and top prize money of 50 million yen. 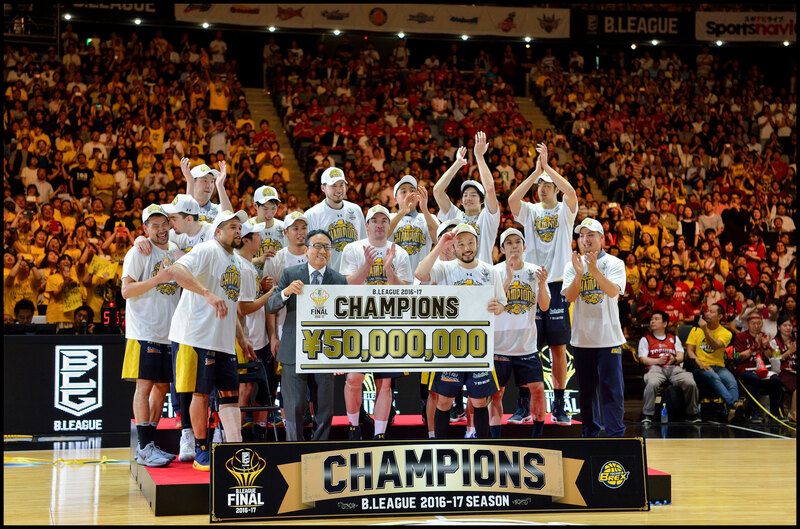 Kawasaki received 20 million yen as runner-up. 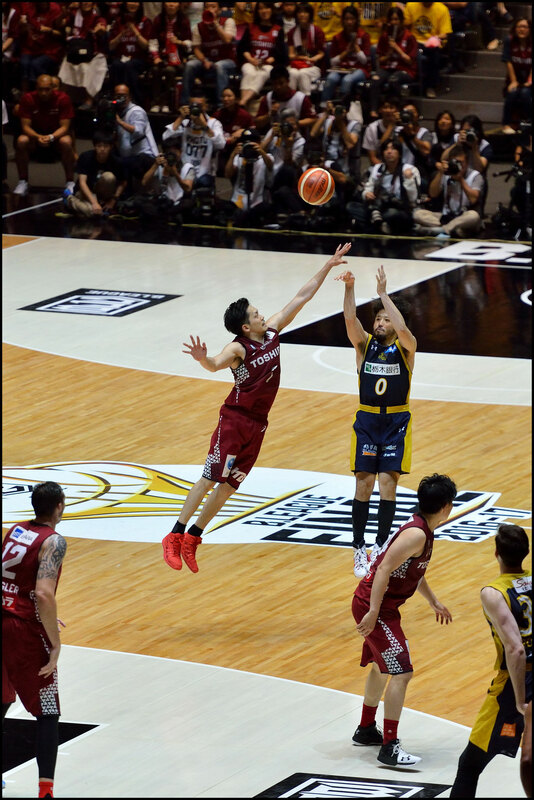 "For us, the key was making shots and getting stops," Gibbs said, adding the team's confidence was boosted by its play in the second game of the semifinals against the Sea Horses Mikawa, which the Brex lost by two after entering the fourth quarter trailing by 19. 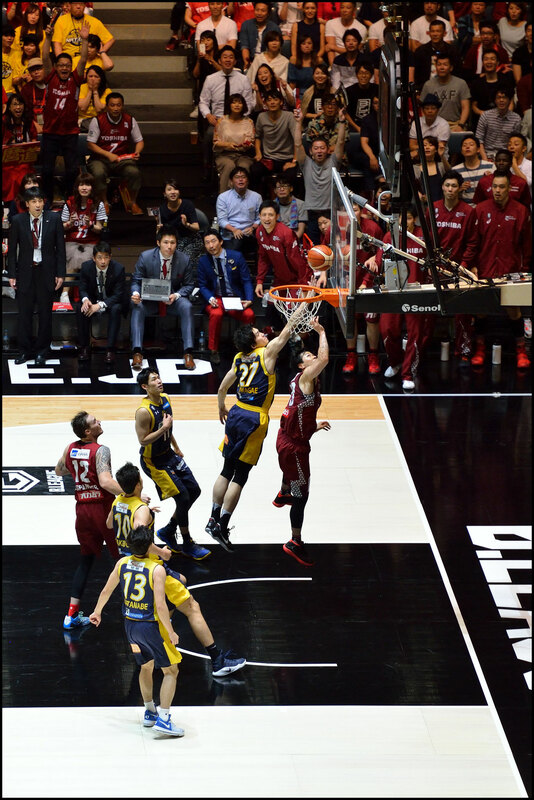 "At the end of the third quarter, beginning of the fourth quarter, I told the team, 'Hey, we need to have a quarter like we did against Aisin (Mikawa) in the fourth quarter.' 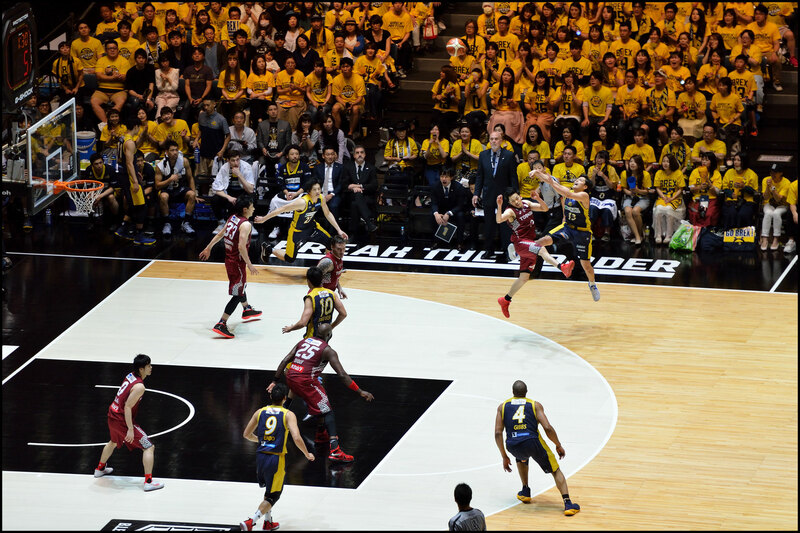 When we outscored Aisin 25-8, today whatever it was, we had a lockdown defensively and we got to the basket." 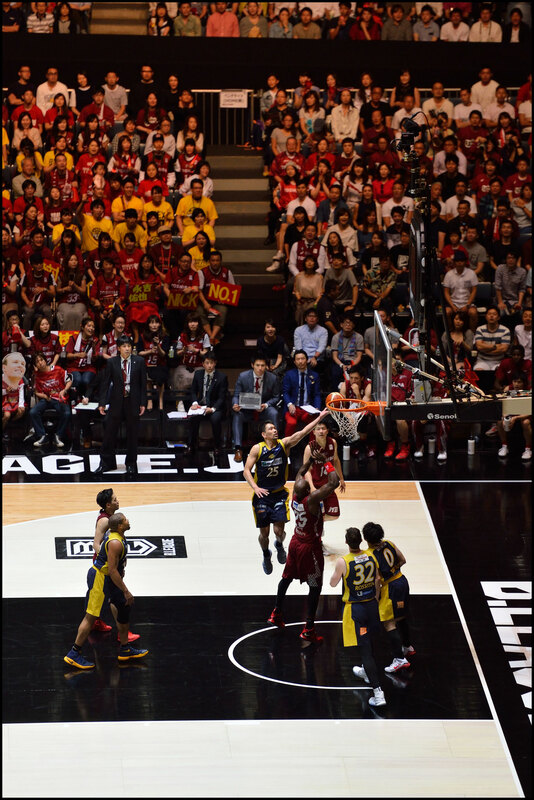 Kawasaki star center Nick Fazekas, the league's scoring leader, was at the forefront of the poor shooting day, missing all six shots he took in the first quarter and finishing with 23 points, more than half on free throws. 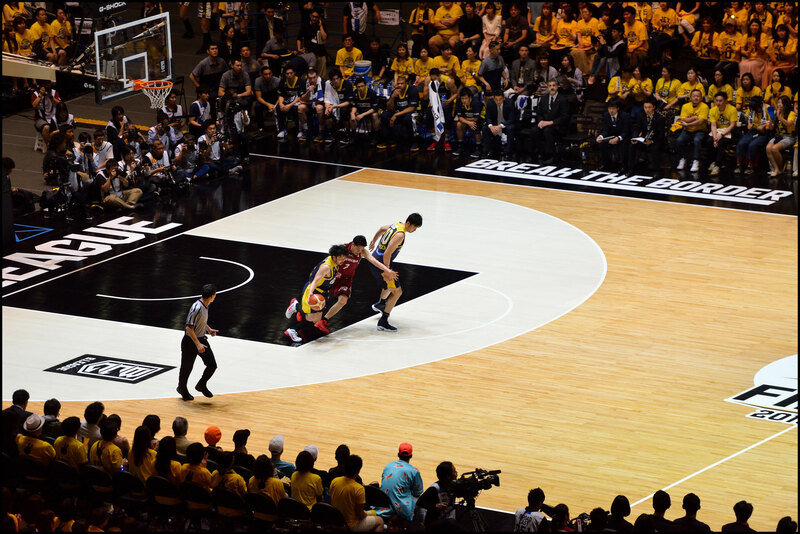 Kawasaki overall made just 2 of 13 3-point attempts. 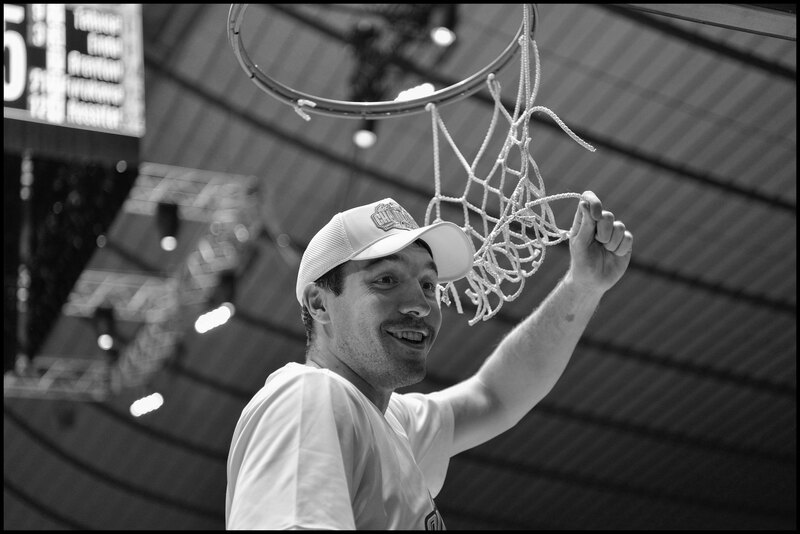 To Fazekas, that was the worst aspect of putting the fate of the championship of a long season into a single, winner-take-all game. 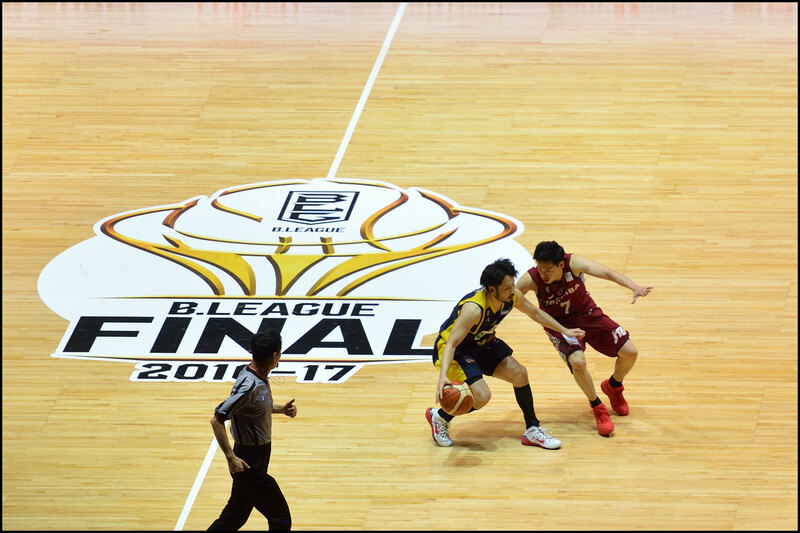 Leave that format, he said, for the All-Japan Championship, a single-elimination tournament that the Brave Thunders made the final of in January, but lost to the Chiba Jets at the same arena. 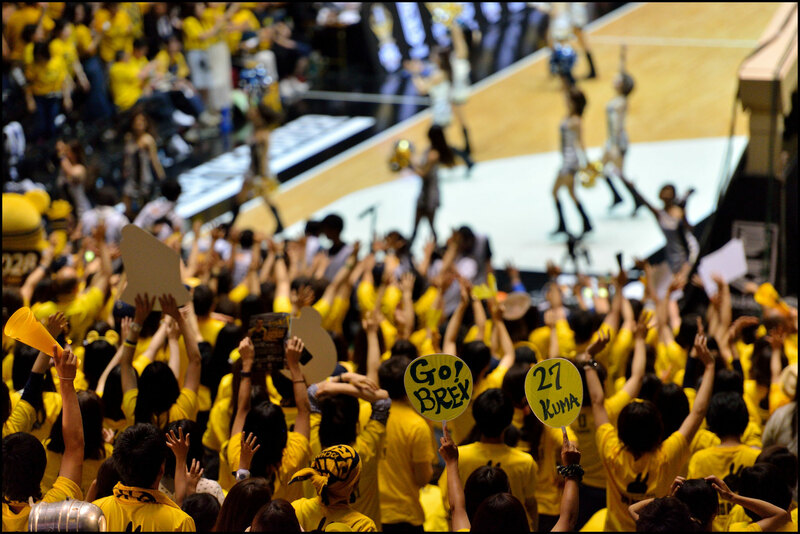 When Kawasaki, then known as Toshiba, won the final title last season of the National Basketball League prior to its merger with the bj.League to form the B.League, it rallied from an 0-2 deficit to beat Aisin in five games. 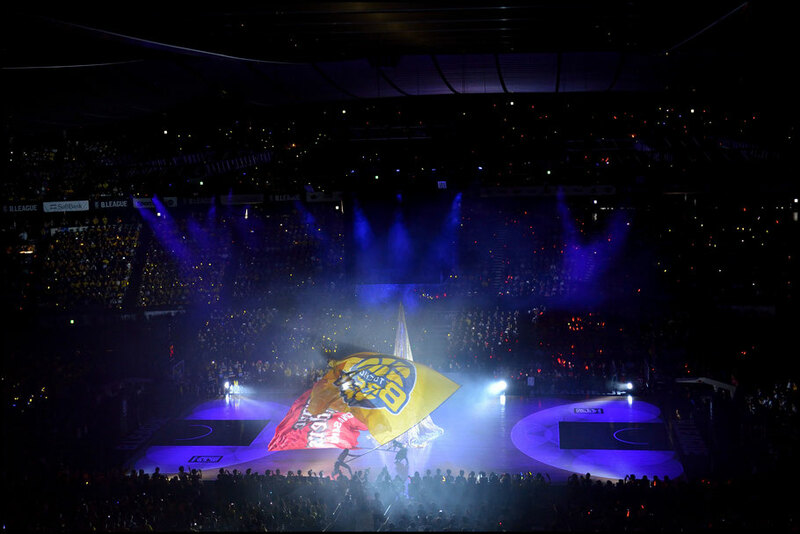 "It's really unfair that we only got 40 minutes to try to win a 60-game season," Fazekas said. "In a sense, we didn't make shots today, but you put us in a five-game series or a three-game series, how many more games are we going to have like we had today? But that's how it worked out." 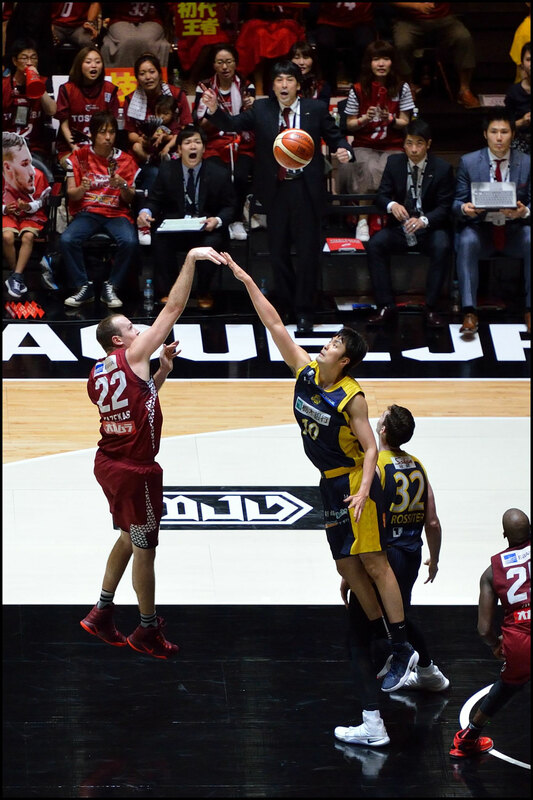 Tochigi counterpart Ryan Rossiter did a good job of keeping pressure on Fazekas and grabbed a game-high 16 rebounds as Tochigi won the battle of the boards 44-32. 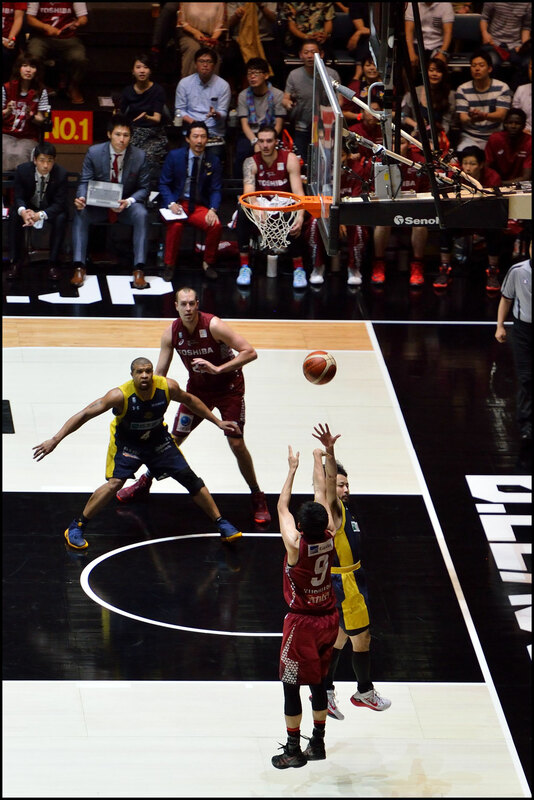 When Rossiter had to ease off after drawing his fourth foul in the fourth quarter, the bullish Gibbs took over guarding the 210-centimeter Fazekas, despite giving up 22 centimeters in height. 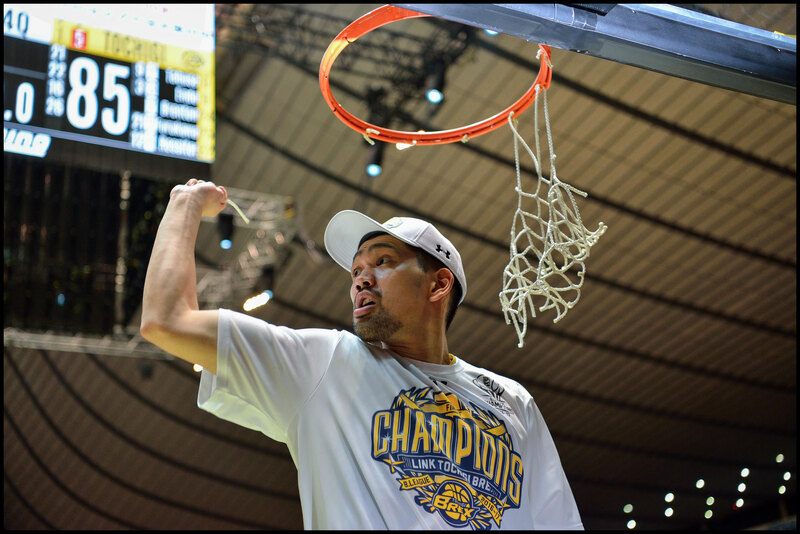 "Over the years, Nick hates when I guard him," said Gibbs, who pulled down nine rebounds and had two steals. 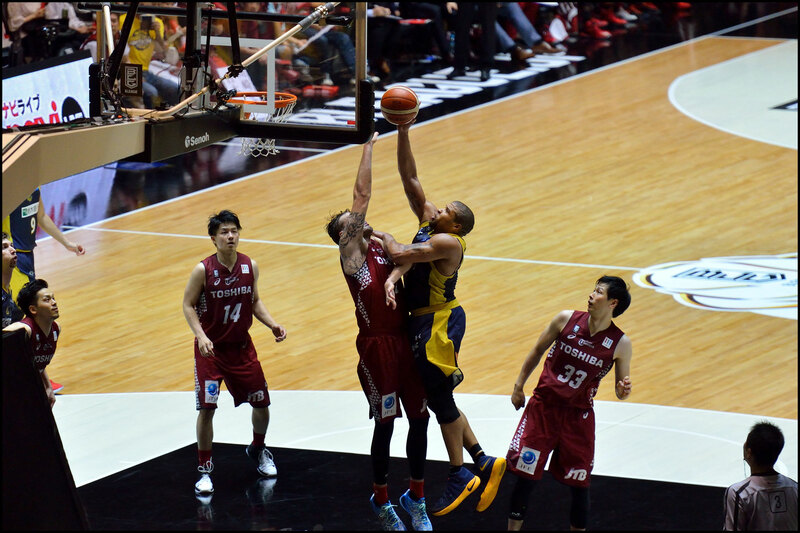 "Because I play him so physical and he can't really get the easy shots. I think he scored maybe two times over me, but that's a given." 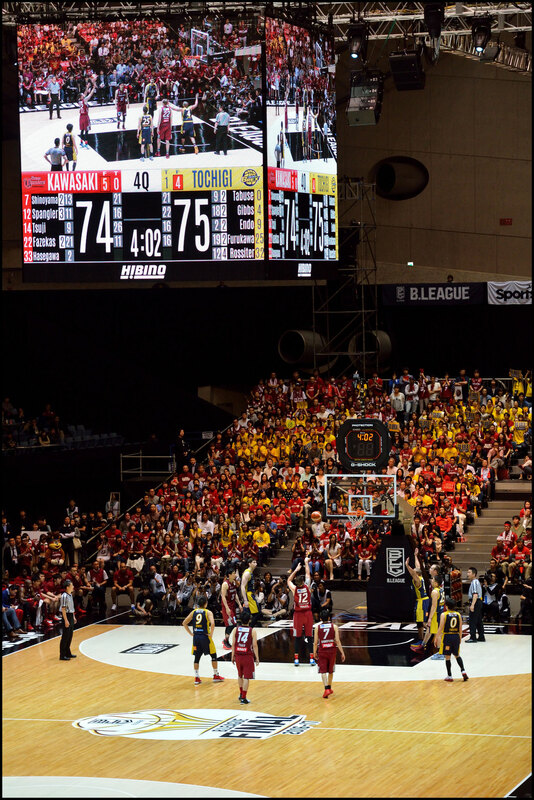 In a tight game in which the largest lead was eight points, the Brex had the first extended run to go up 34-27 midway through the second quarter and went into halftime with a 43-37 advantage. 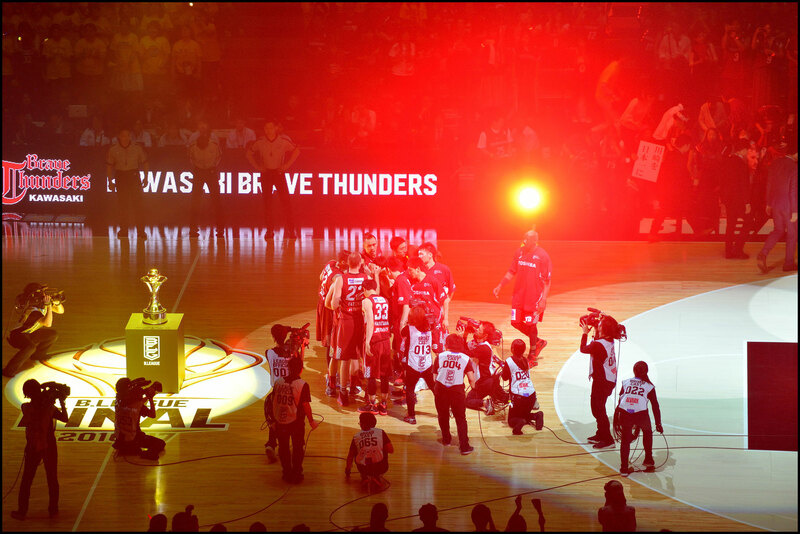 But the Brave Thunders, who had the league's best record at 49-11, came back with a 26-point third quarter to take a 63-59 lead into the final period. 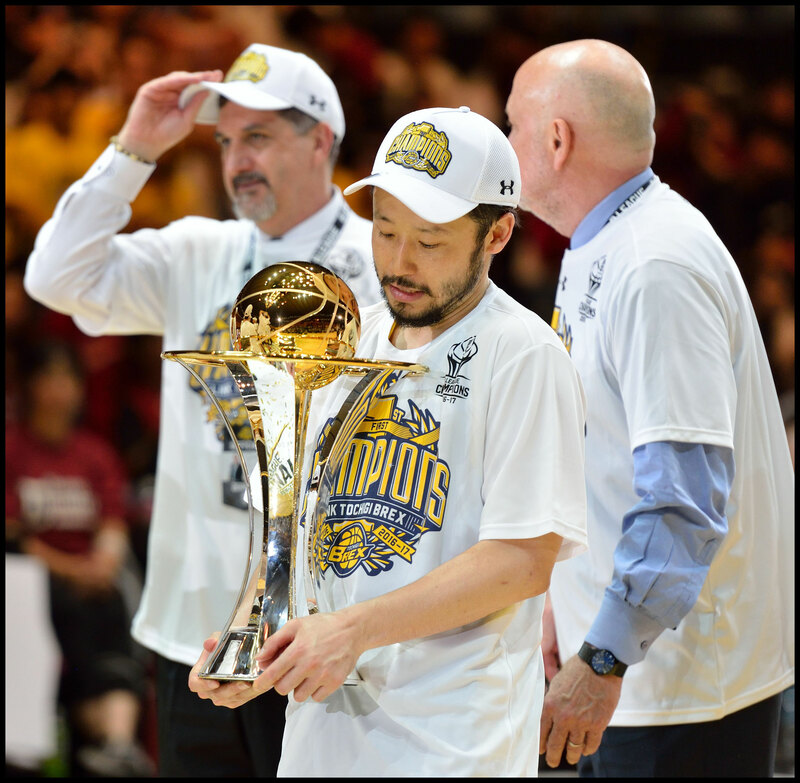 The 36-year-old Gibbs, who had previously won a league champi0nship with the Toyota (now Tokyo) Alvark, knew he had to take it up a notch. 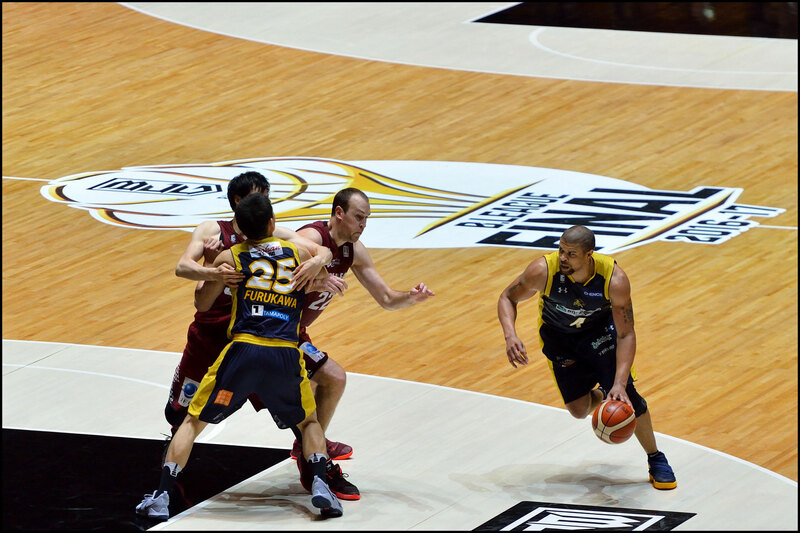 "Especially with Ryan (on) four fouls, he couldn't really do too much the way the game was being called," Gibbs said. "I knew I had to come in and take over. That mentality for me, a switch just went off. 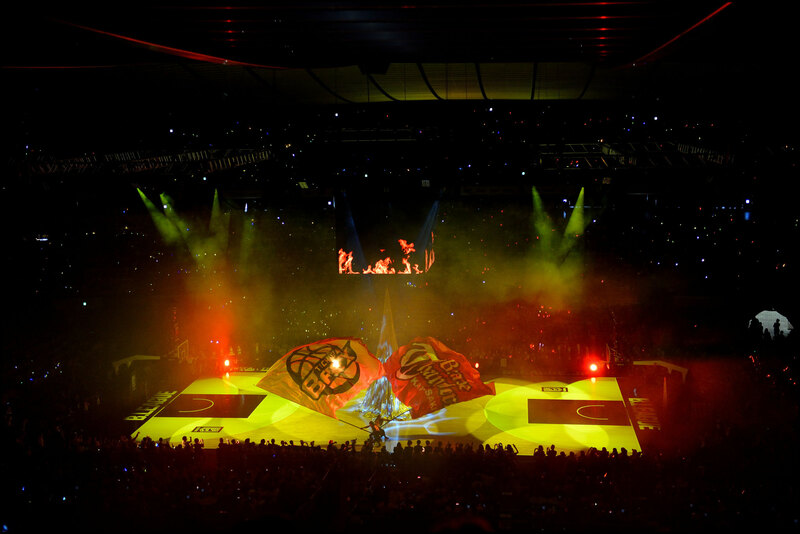 Like, we got this far, I can't let the team down. I'm happy I came in and did what I did." 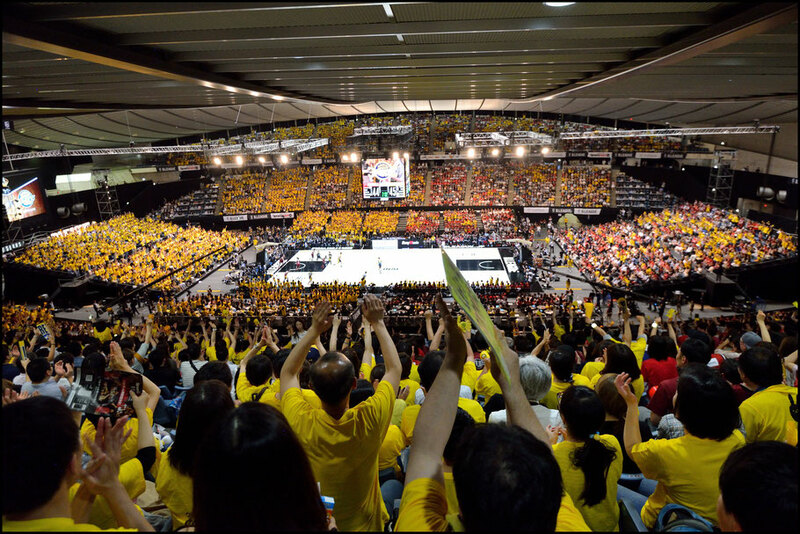 In a frenzied finish before a crowd, in which the yellow-shirted Brex Nation fans outnumbered the red-clad Brave Thunders supporters, the teams traded the lead nine times until Gibbs hit successive baskets to put Tochigi up 80-77 with 2:49 left. 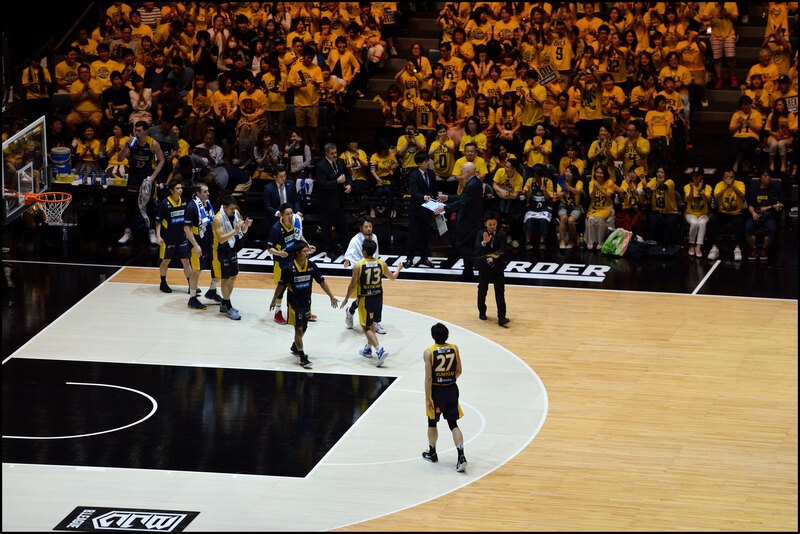 Ryan Spangler sank two free throws to cut the lead to one, but those would be the last points for Kawasaki. "He's a little shorter and more stocky, and he's got some power down there and he's pretty good at getting low, so it's hard to guard him as far as trying to stand your ground," Spangler said of Gibbs. "When you meet him in the air, he's good at balancing and being able to finish." 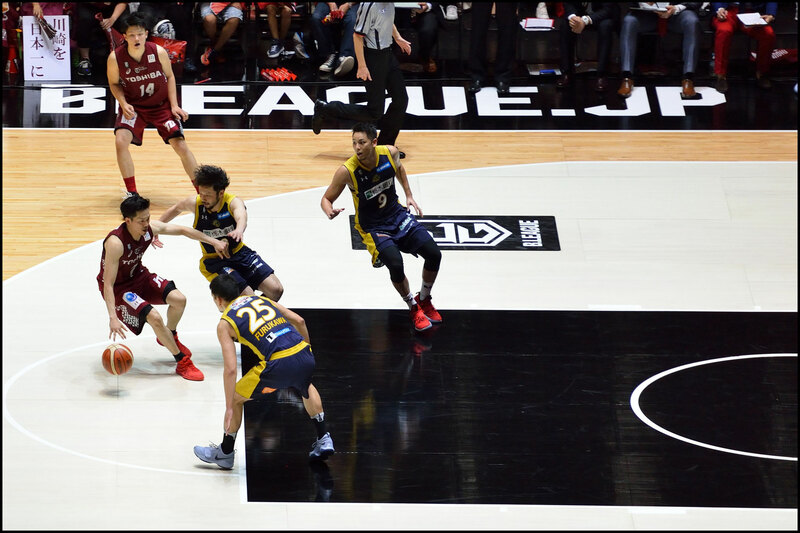 After Takatoshi Furukawa sank a jumper with 1:07 left, Kawasaki guard Ryusei Shinoyama threw away a pass to Spangler, and Gibbs sealed the victory by taking a bounce pass from veteran guard and captain Yuta Tabuse along the baseline and sinking a reverse layup to make it 84-79 with 37 seconds left. 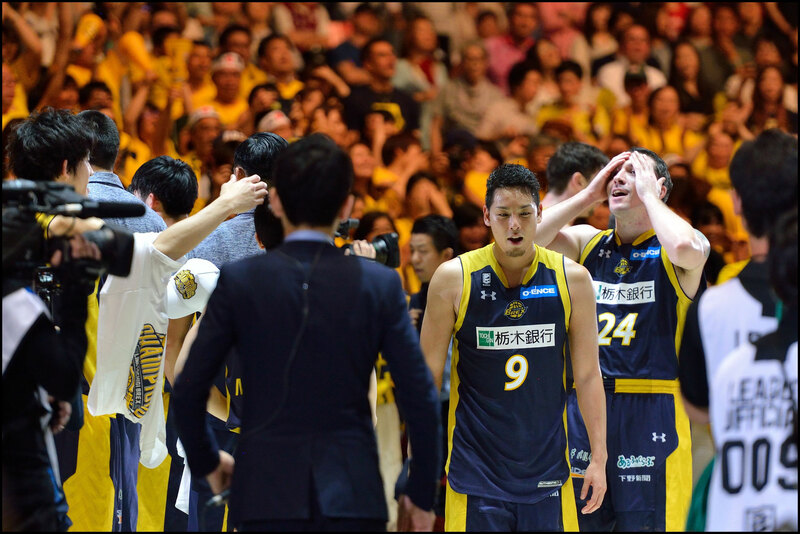 "A lot of their down screens and the pin-downs that they were running were putting us in bad situations where we had to help off Furukawa or help on (Yusuke) Endo, and it led to Gibbs slipping (inside)," Fazekas said. 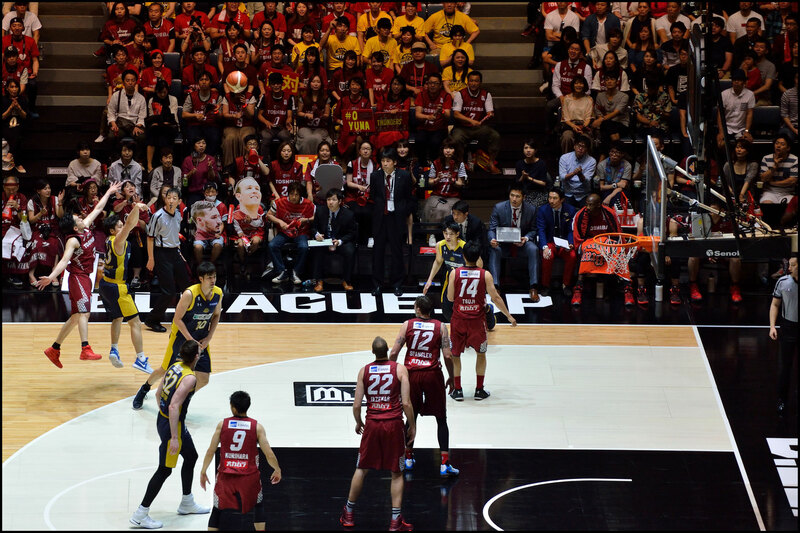 "It's something that Tochigi's really good at, is running those pin-downs for those guards and they're going to make those shots, and tonight we kind of had to pick our poison and Gibbs was able to make a bunch of shots." 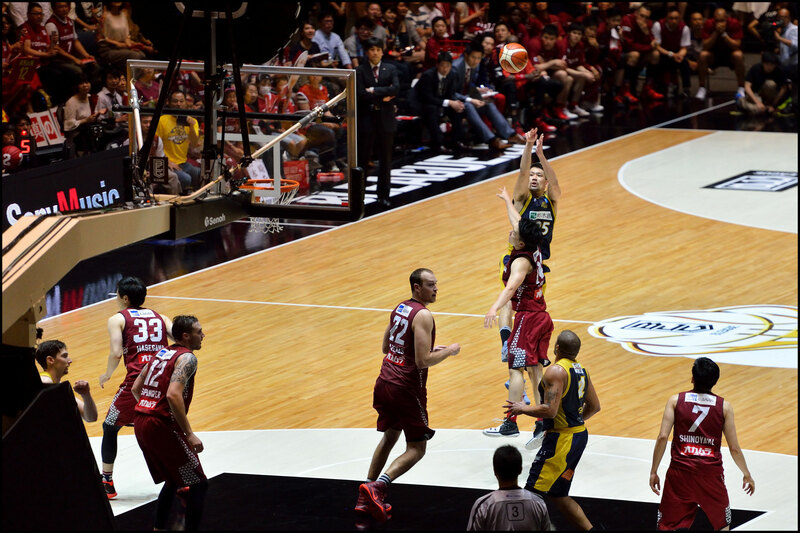 Fazekas added: "Every time we needed a big one, they just didn't go down. The 3-pointer just wasn't in our game tonight." 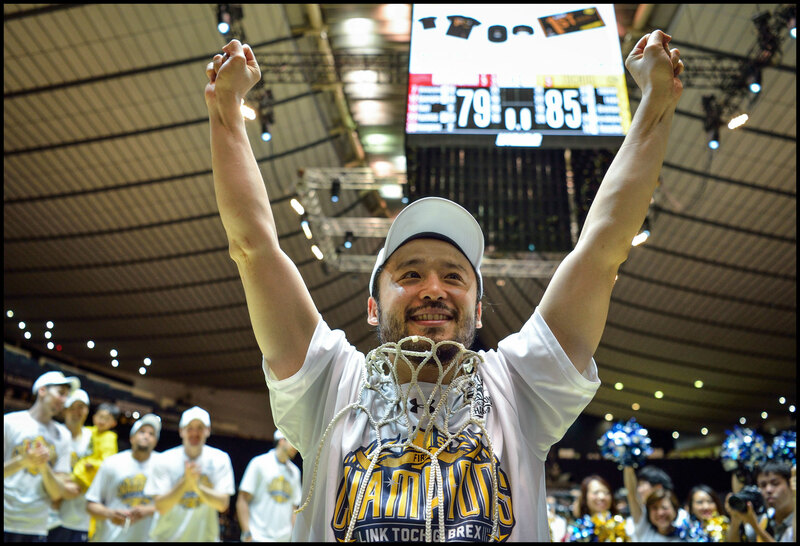 Furukawa, who made 3 of 6 3-pointers and finished with 21 points, was named the game MVP. But like everyone else on the team, he spread the credit around. 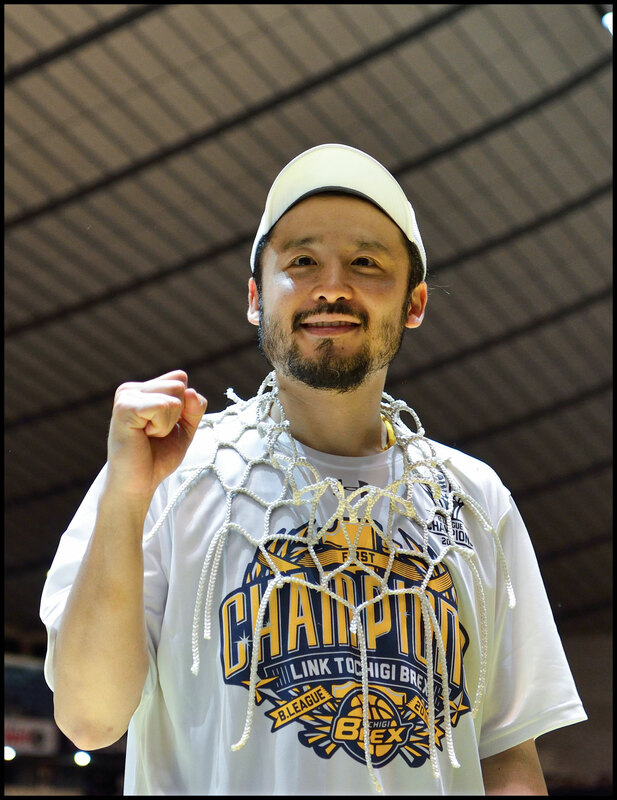 "In the end, I was the one to get it, but it was from the support of everyone," Furukawa said. 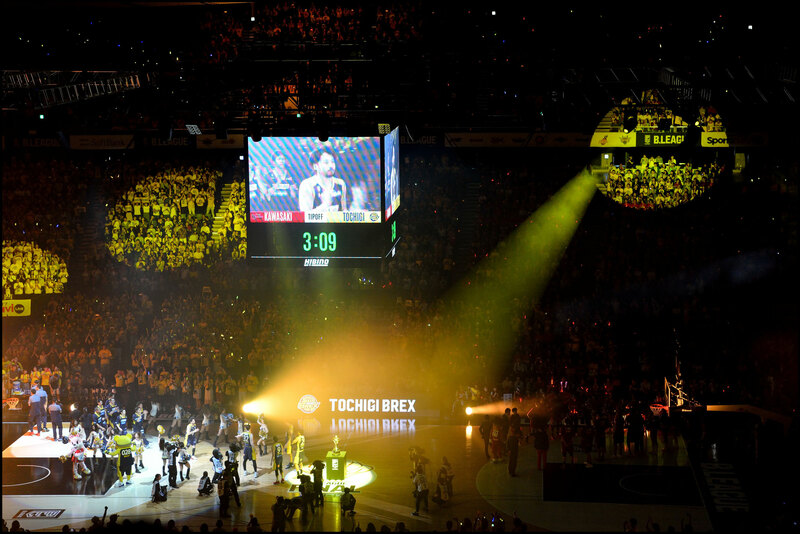 "Through the season, this is something we built together. It's not just mine. 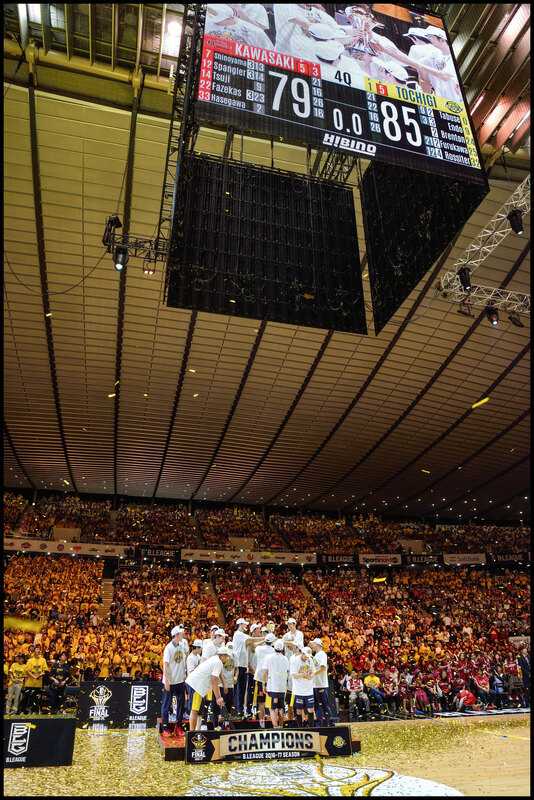 The biggest thing is we won as a team." 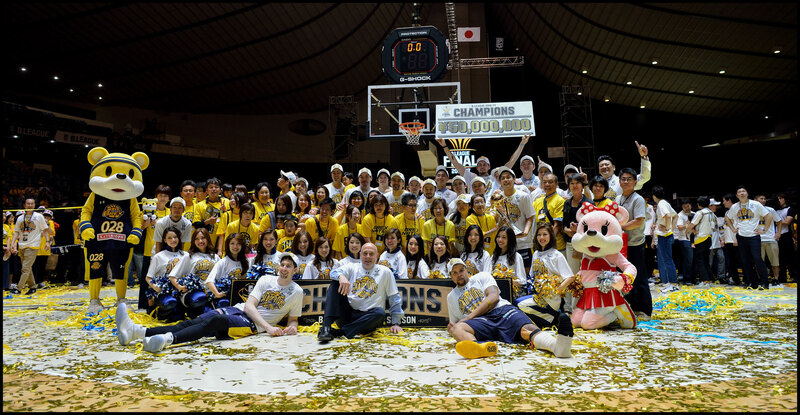 Rossiter echoed those sentiments as he revealed a philosophy derived from legendary UCLA coach John Wooden and instilled from the beginning of the season. 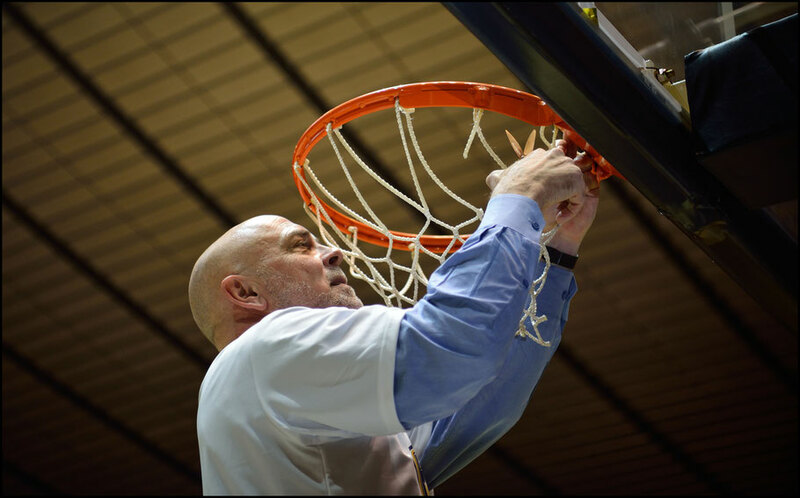 "Our first practice, coach brought us in and said a John Wooden quote: 'It's amazing what you can accomplish when no one cares about who gets the credit,' " Rossiter said. 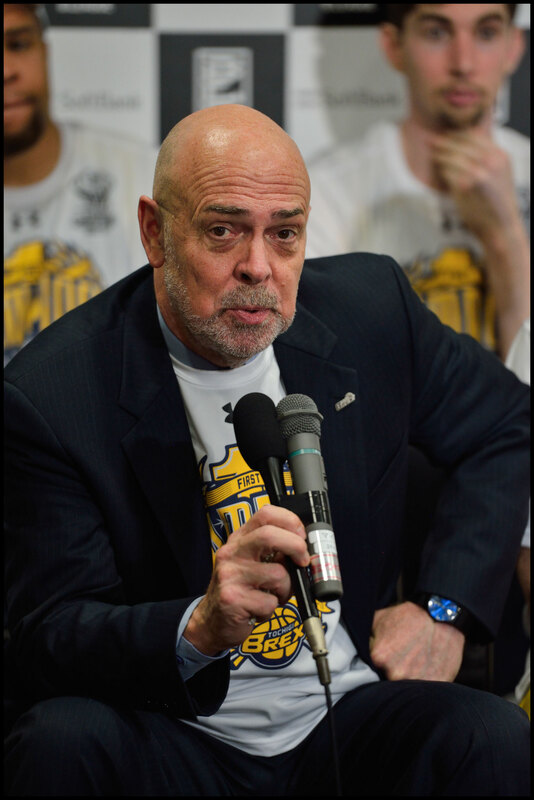 "I felt the talent this team had, that was a really good quote for the team. 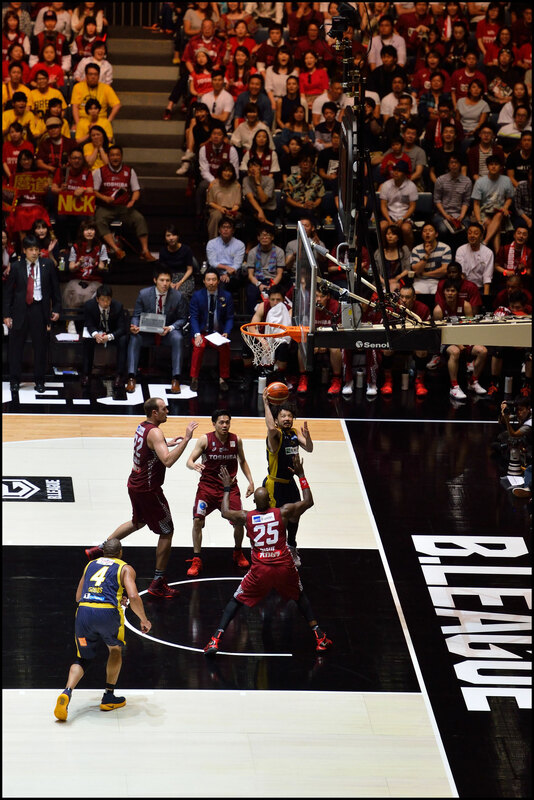 "We have a lot of guys on other teams who are worried about their points or worried about their playing time. But...everyone buys in, everyone does their job, and today was the perfect example. 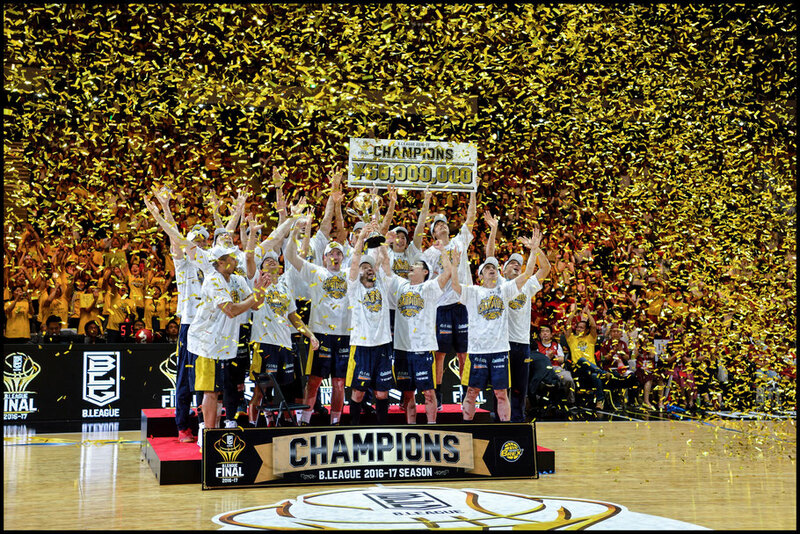 We don't care who the star is, who gets the most credit, just as long as we win, we're happy. We did that all season, and today was the epitome of that." 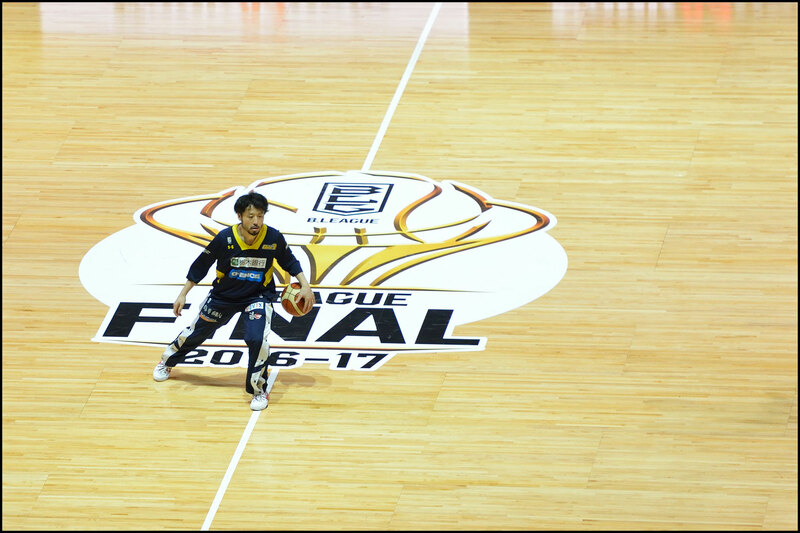 The victory avenged a loss to Kawasaki in last year's NBL semifinals. 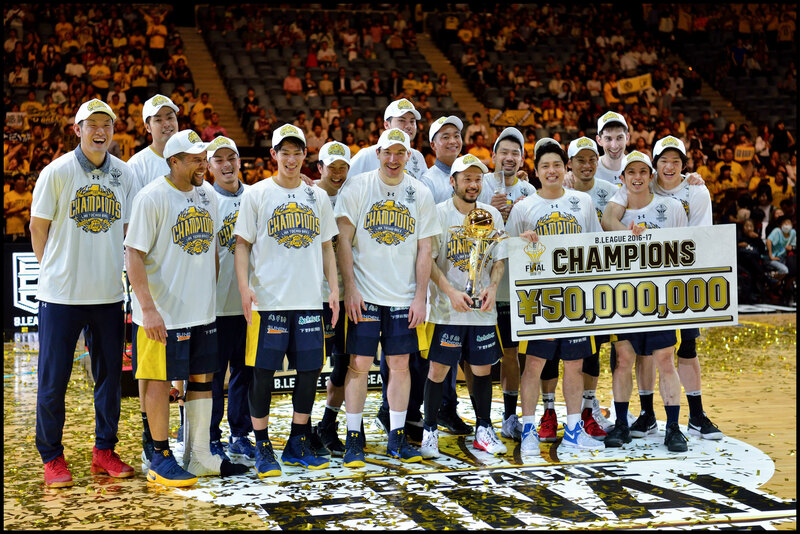 Wisman was in his first stint at the Brex in 2009-10 when the team won its lone NBL title, and among the changes he made to this season's team was to bring in Gibbs and center Kosuke Takeuchi, who had played together at Toyota. 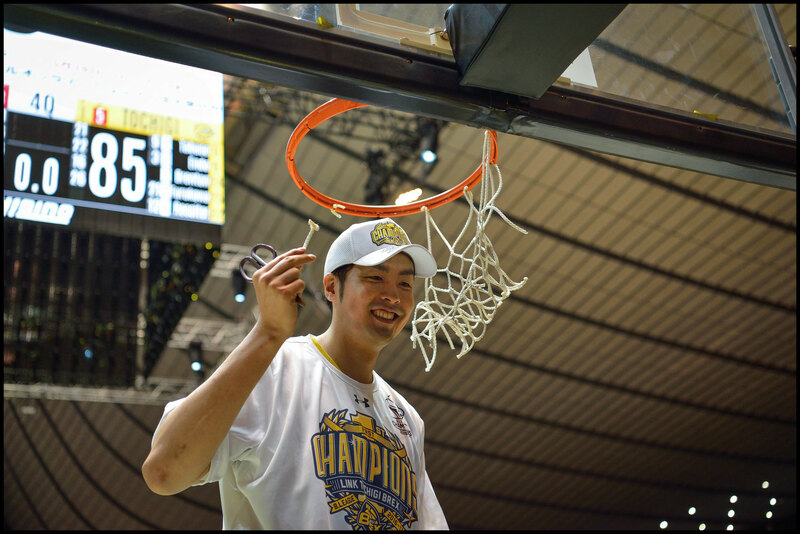 "Me and Kosuke played together at Toyota, I've got chemistry with him," Gibbs said. "I played against all the other guys. It's a great group of guys. I felt like this was the best situation for me. 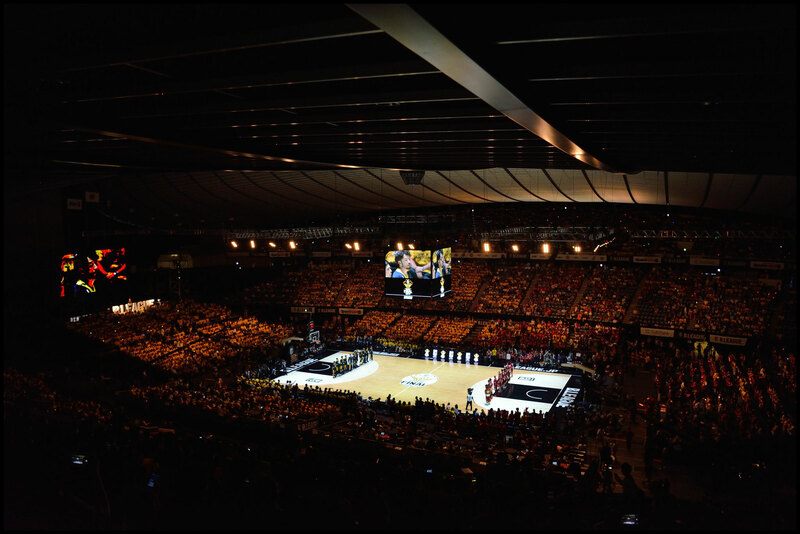 I'm happy I came here." 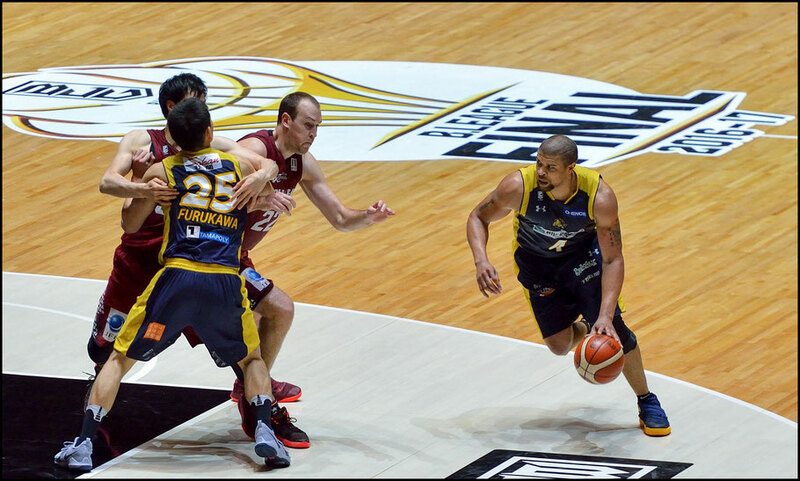 The seeds for Gibbs' move north were planted years ago when he was playing against the Brex and center Ryan Rossiter. 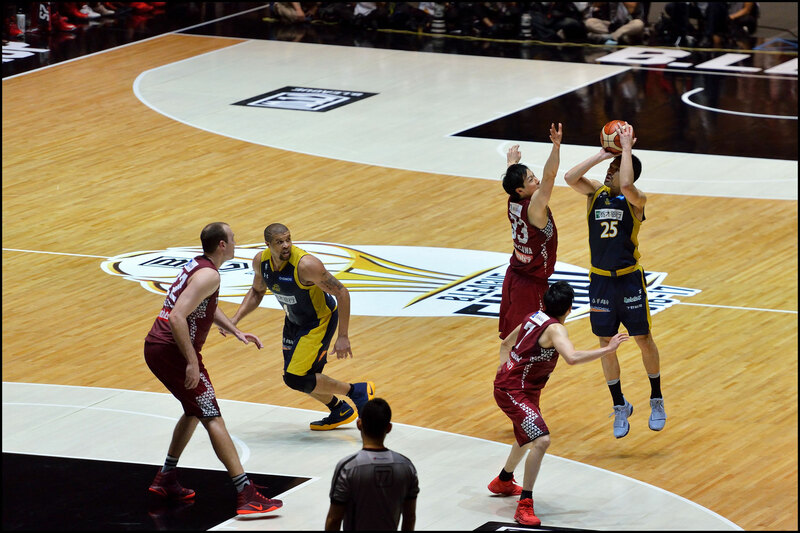 "A couple of years ago, Ryan and I were playing against each other and we were at the free throw line. 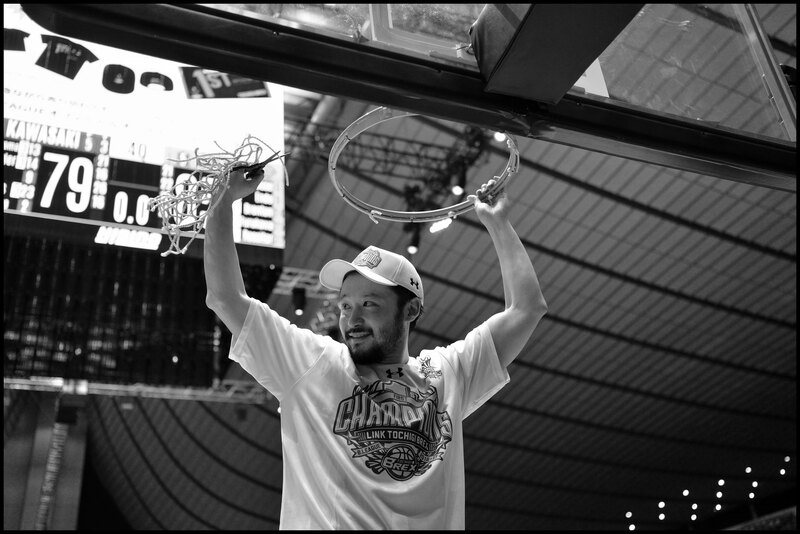 And he was like, 'We should link up someday and win a championship together.' 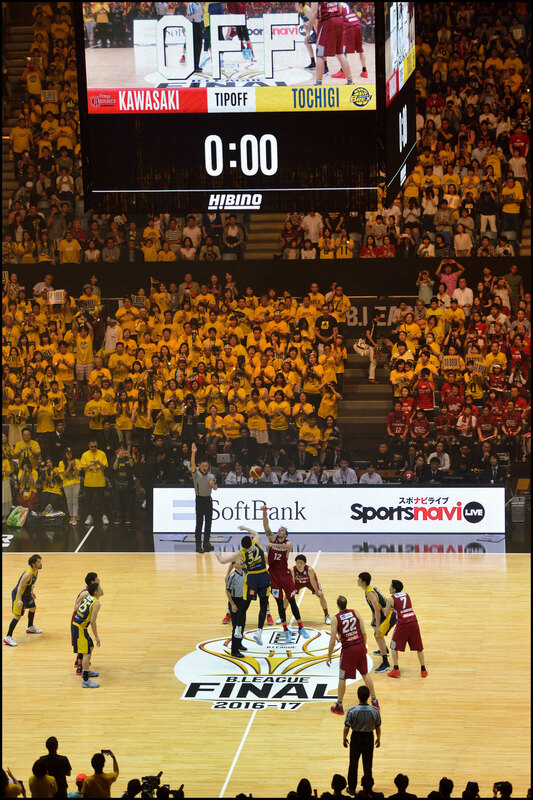 And here it is." 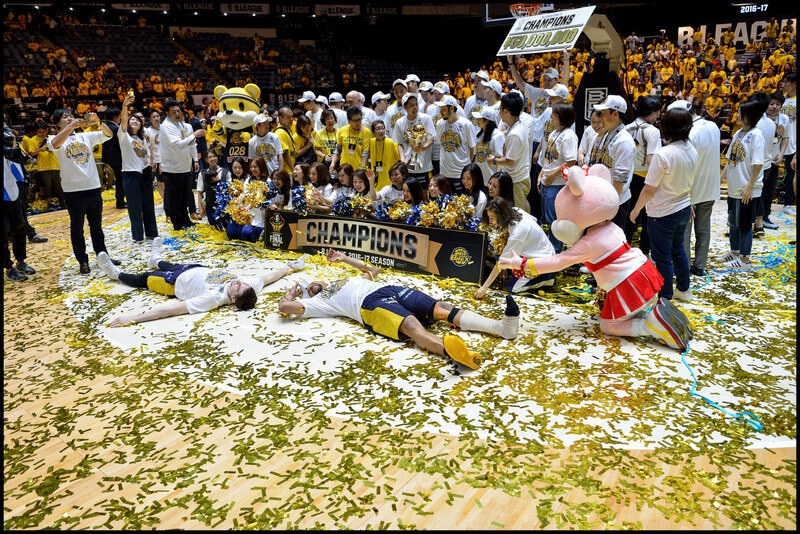 And while limping around in the post-game celebrations, he was feeling no pain.